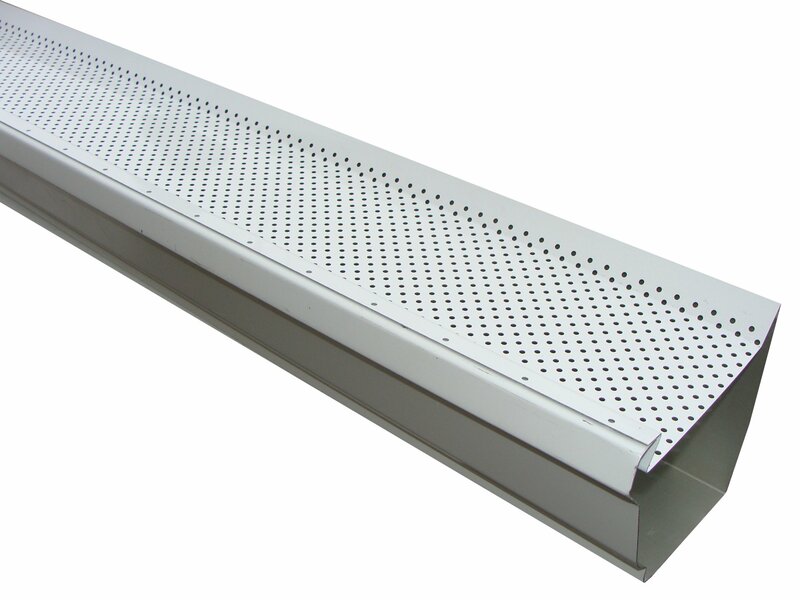 Leaf Defender Gutter Guard keeps a low profile....so it goes virtually unseen from the ground. Made from durable, heavy grade aluminum (.027 gauge) with a baked enamel paint finish, Leaf Defender will hold up to extreme weather conditions. Leaf Defender rests on top of the hidden gutter hangers and should be over lapped 1/2".